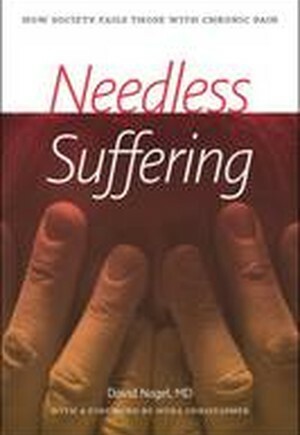 Needless Suffering offers a sociological examination of a complex medical problem: chronic pain and the inability of doctors and other health professionals to understand and manage it in their patients. People in pain, writes Nagel, are the poor of the medical world. Like the poor, they are stigmatized and left at the mercy of powerful social actors who tend to work in their own self-interest, frequently at the expense of those they propose to serve. This leaves those who suffer with little control over their own destinies and creates a dysfunctional status quo that harms instead of helps. Drawing on his own experience witnessing his mother's chronic pain and numerous clinical stories from over thirty years' expertise as a pain management specialist, Nagel looks first at patients, their families, and their doctors (usually not trained in pain management), and then broadens his canvas to elaborate a "pain power structure" that includes the entire healthcare community, insurers, lawyers, government regulators, employers, politicians, law enforcement agencies, and painkilling drugs. Concluding with concrete policy proposals and reforms to create more effective and compassionate pain care, this book is designed for pain patients and their families, healthcare providers, legislators and other public policymakers, judges, personal injury and other attorneys, insurers, government regulators, law enforcement personnel, and health care businesspeople.